Adding a half-acre pond to your farm property will attract migrating wildfowl. Although some outdoor projects are time consuming, filling the pond from your well takes very little effort, and just a few calculations. 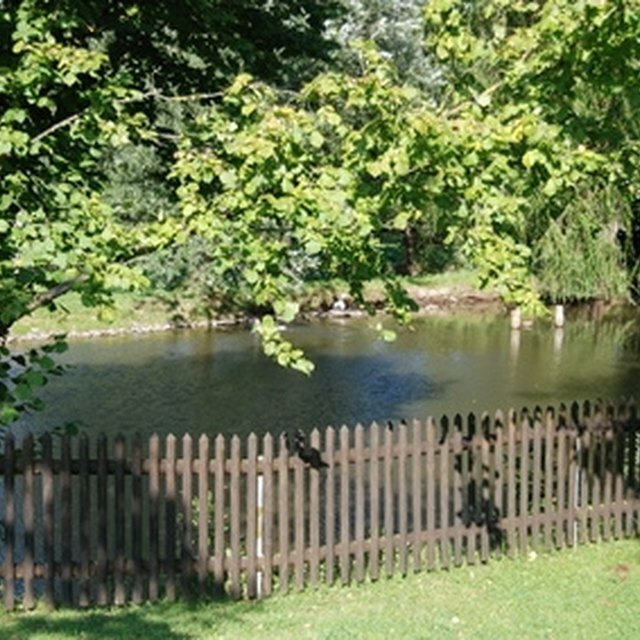 A pond is an attractive addition to a farm. A half-acre is 21,780 square feet. For a 2-feet deep pond, 1 foot of depth equals 1 cubic foot. That means the volume for the pond will be 2 times 21,780 square feet, or 43,560 cubic feet. 1 cubic foot contains 748 gallons of water. Multiply the volume of 43,560 cubic feet times 748 gallons to find that the pond requires 651,658 gallons to fill it to a depth of 2 feet. With a pump that fills the pond at a rate of 25 gallons per minute, it takes 26,066 minutes (651,658 gallons ÷ 25 gallons per minute) to fill the pond. 26,066 ÷ 60 minutes yields a total time of 435 hours. 435 hours ÷ 24 hours per day yields a total time of 18 days to fill the pool. Montecito Water Co: How many gallons of water in a cubic foot?